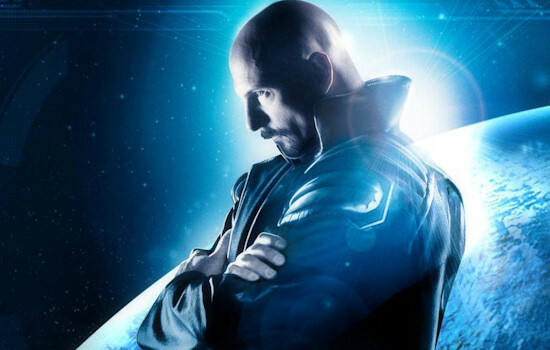 As a long time fan of Command and Conquer I really looked forward to the proposed conclusion to the Tiberian saga in Command and Conquer 4: Tiberian Twilight. I still remember firing up C&C 1 and playing that first mission as GDI, storming the beach to thunderous beats and wailing electric guitars. I was in awe of the mix of video and brightly colored graphics, it's one of those gaming moments that sticks with you through generations. Sadly I don't think Command and Conquer 4 will ever have that moment, and while there's no moment that makes you go "oh holy crap this is awesome," what is there is a solid experience with an almost brand new formula for Command and Conquer veterans. It seems that over time most RTS developers have slowly evolved their games away from the "resource management" type, to a point based or other limiting system for unit construction. 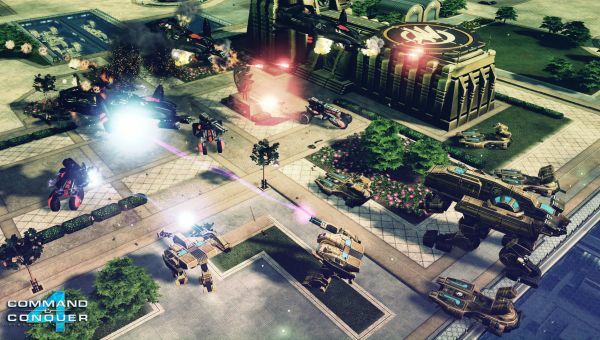 Command and Conquer 4 also adapts this formula, no longer will you have to harvest Tiberium to power your army, or even build bases; instead you'll be capped with unit points for what you can build. The stronger the unit the more it costs you in your pool of available resources. Along with this change comes your mobile construction yard, which is literally a vehicle on it's own. You can walk or fly it around the map at will, and the only time you need to be grounded is when you need to pump out units. This yields quicker and more constant battles because unit production is typically moved to the brink of the battlefield. Your MCV can be destroyed, but each missions allows a certain number of drops of a fresh construction yard. Your MCV can be one of three types; offense, defense, and support. Each of these classes will pump out specific unit types for their relative roles. But not all of those units are available from the get go, instead, you'll earn experience for killing units, completing objectives and missions, and unlocking achievements. As you level up you'll have access to more units and more unit upgrades. The really nice thing about this system is it's persistent across all your single player and multiplayer endeavors. Even after completing missions you can head back and replay them, this time with a more powerful arsenal at your disposal. The story of C&C 4 follows the Commander as he works with both GDI and NOD forces to save the planet once and for all from the Tiberian infestation. You'll clash up against numerous factions in the game, as well as a few surprises along the way. Once again Joe Kucan returns as Kane who now has seemingly joined forces with GDI to put a stop to said infestation. The game is still filled with campy cut scenes, which you'll laugh hilariously at - not because they are funny - but because they are so bad. Red Alert 3 knew how to not take itself seriously, but it's a little more difficult to tell if the C&C4 team was trying to convey a serious message with the game's cinematics. Seriously, when my in game wife tells me that "she loves me," it felt so forced that I laughed when she was exploded a few seconds later.